Romantic spring craft ideas that anyone can do and in this post you’ll be inspired to create something lovely! Spring brings rebirth in our landscapes. We see beauty in buds and flowers emerge from the earth in all their glory! It’s a season that we can truly bring romance into our homes with fresh flowers and color. A bit of blush doesn’t seem far-fetched with a soft sofa pillow. A humble vase bursting forth with simple grocery store flowers brings every day beauty. 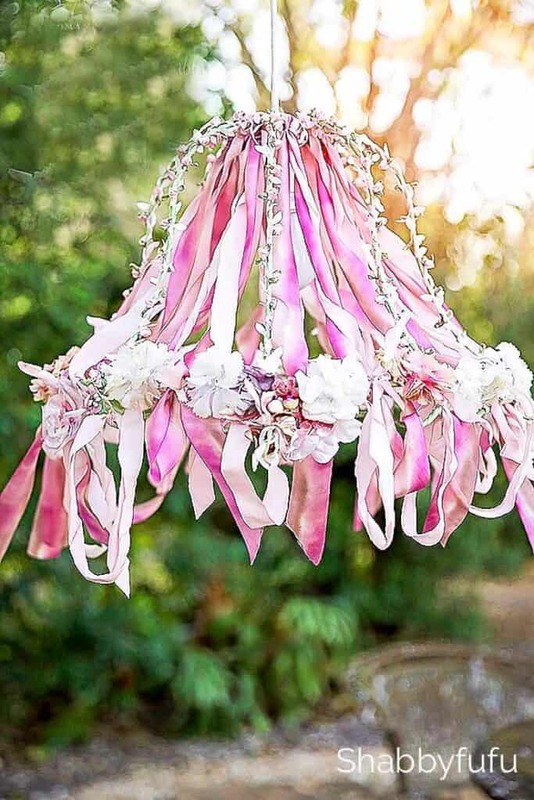 Crafts can be a terrific way to add romance and soft hues and perhaps a bit of whimsy. I’ll be sharing loads of spring crafts over the next week from my studio. I’m going to try and keep them simple so that you’ll be inspired and not intimidated. Are you ready to get crafting? In the spring most of you are much more likely to spend time outdoors. 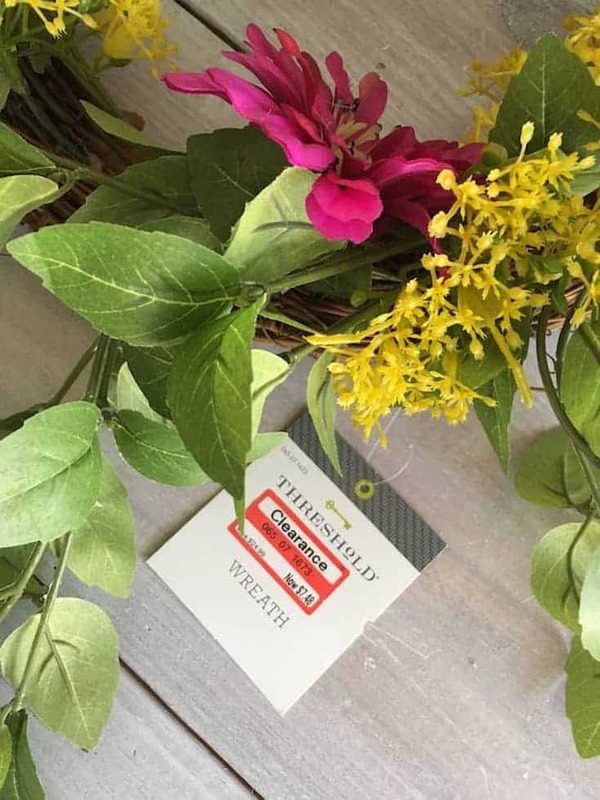 My romantic spring craft idea from years back is a favorite and one of those viral internet creations. You’ll find the full tutorial on the How To Recycle An Old Lampshade Into A Chandelier post. Don’t be intimidated because this really is SO EASY to do and just requires a glue gun with no sewing involved! While this romantic spring craft may not be for everyone, you can always adapt it to your own style. That is the fun thing about decorating and about crafts in general. Make it for you, made by you! 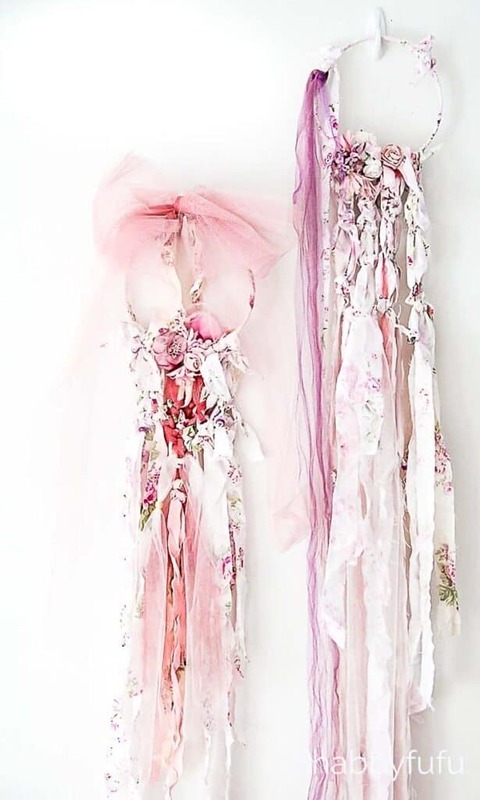 While I don’t have a full macrame tutorial for this post you can see more here ” Macrame Wall Hangings – Romantic Style ” Fun fact…when I was an art teacher right out of college I taught traditional macrame to my students. I once made a macrame room divider and wish I still had that now (only it was brown!). Taking a traditional craft to a different level is fun to try. This project is for everyone and has endless possibilities if you just keep your mind and eyes wide open! Clip some branches that probably need to be pruned anyone from your garden. You can spray paint them, use some dye or add millinery leaves as I’ve done (PINK!) in this project. 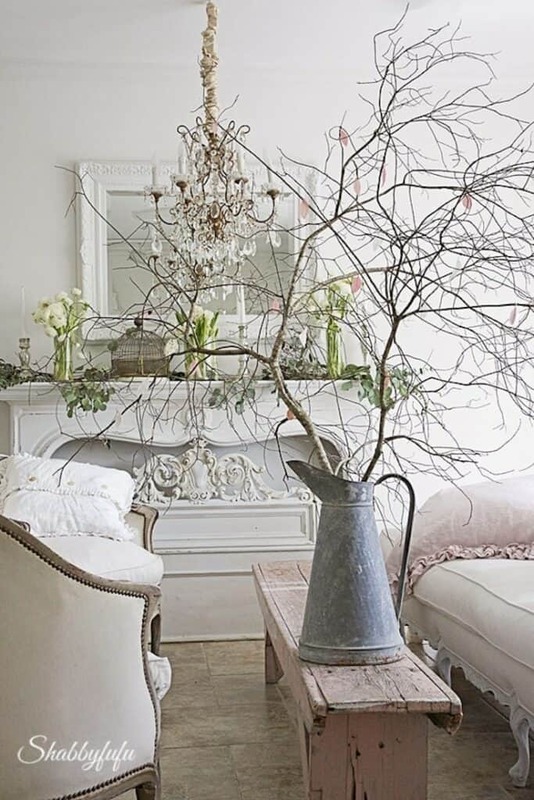 For more, see this post ” Beautiful Spring Decorative Items For Any Living Room ” . 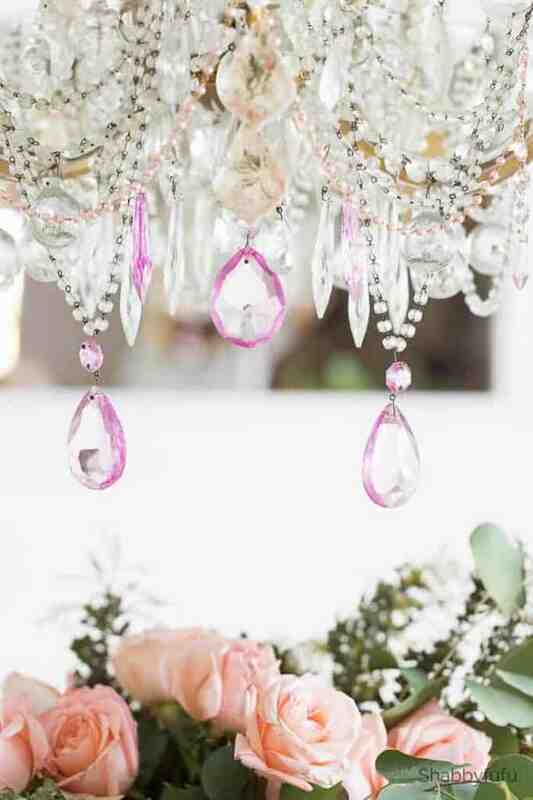 I love chandeliers, no secret here if you’ve followed me for awhile or seen my home on the blog! With crystals on chandeliers you can have some fun and colorize them. You don’t need to go too wild and do them all, but just a few will do for a spring look. In this post I have lots of ideas for bringing spring to your lighting! 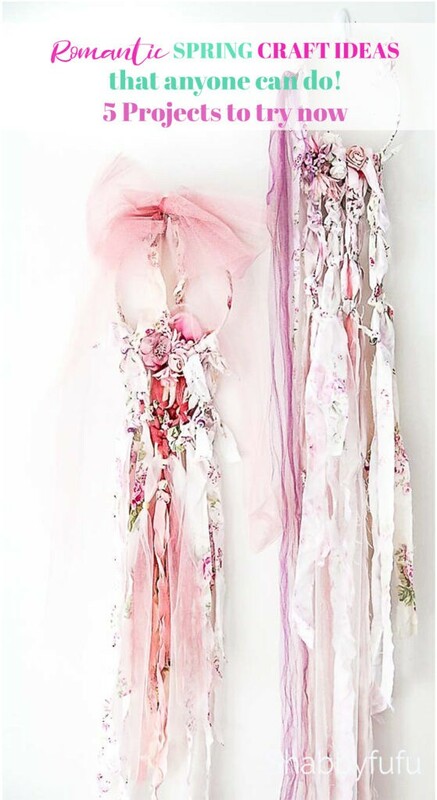 So easy and lots of fun…check out the post here “Easy DIY Chandelier Makeover Ideas For Spring“. While I’m no Martha Stewart I can take even the plainest of objects and add life to them. This clearance wreath from Target looks completely different now and without much effort. See that DIY here “How To Make A Thrifty Wreath Look Elegant“. All it takes is a little bit of crafting elbow grease and in many cases a hot glue gun. Crafts are meant to be fun and if you have any questions please ask! Which is your favorite inspiration here to try? 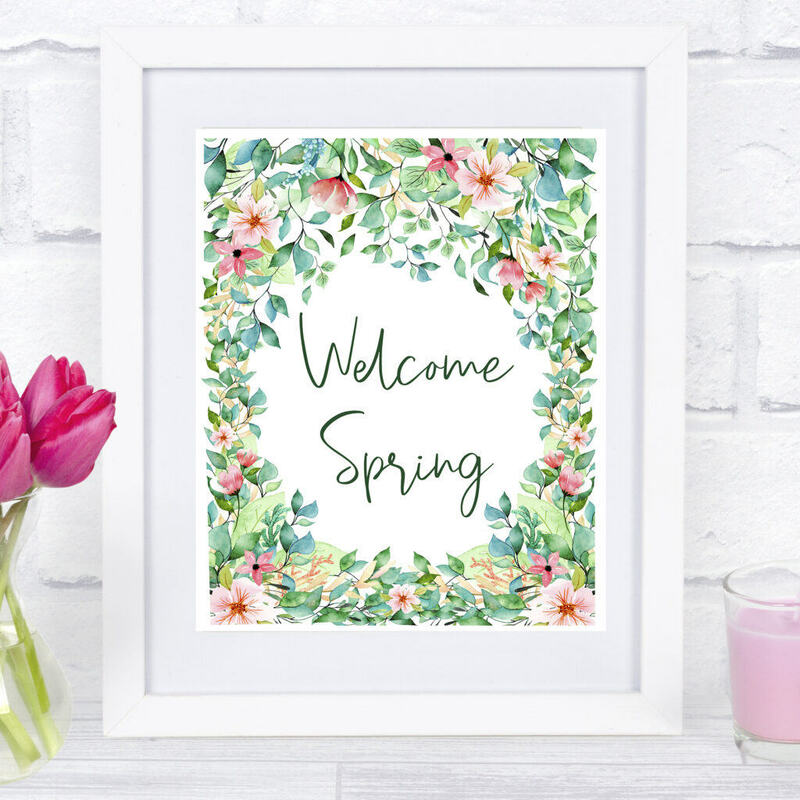 Speaking of SPRING, I have some NEW PRINTABLES in the subscriber library. 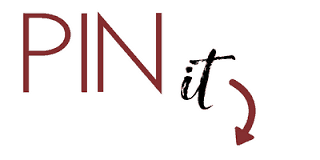 Are you a subscriber yet? I have embedded the form conveniently for you below! I’ll forever crush on that pale pink chippy wood bench Janet!!!! Happy weekend, hope the DIY’s and projects are going well!